The RWA SM&CR Audit consists of two stages. The first stage is to complete a quick 15 question multiple-choice assessment online and the second stage involves a more in depth audit which will be conducted over the telephone and should take no longer than 30 minutes. 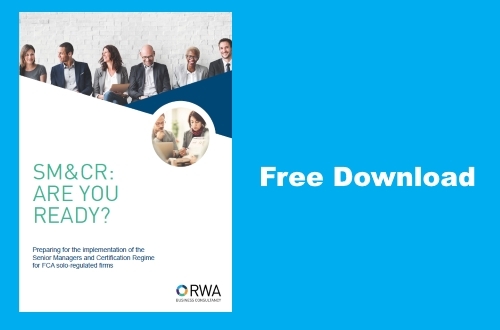 On completion of the audit, RWA will provide you with a report outlining the gaps that your organisation needs to consider as part of the FCA's new Senior Managers and Certification Regime. Please fill in your details below and click Launch Assessment to get started. The first stage of your free SM&CR audit is to complete a 15-question multiple-choice assessment. The results will form part of your SM&CR report.